Legend has it that our shop on Logans Street was called The Colombo Stores because my great grandfather Syed Mustafa Koya first started off in business by travelling to Colombo ever so often, carrying spices, cloth and other merchandise and bringing back with him pearls, strange exotic fruits and such other treasures, which were not to be seen in the whole of Malabar. In his later years, as trade with Ceylon, as they called it then, dwindled and Abdulmajeed and Sons, became a prominent business house in Tellicherry, my great-grandpa, consumed by a wave of nostalgia for the lost days of his youth, pronounced one fine day, that the shop would henceforth be called The Colombo Stores. He died a few years later, sprawled in his easy-chair with his feet pointing towards the heavens from below his dishevelled loin cloth — his last thoughts were most probably of his fragrant dalliances in the mysterious dark alleys of Colombo. The old shop still stands, none the worse for its legacy of over a hundred years. Propped up and patched over by prompt repairs increasingly required as time passed by, it had become a grotesque collage of disparate architectures. It is run by my father and uncle now. While Uppa takes care of the more traditional trading and distribution side of the business, uncle Abdulrahman looks after the new retail supermarket that was added a few years ago and is housed in a modern building in the outskirts of Tellicherry. Their eldest brother, and my uncle, Beerankutty was dead and his sons had set up shop on their own in Manjeri, their mother’s town. The other uncle Mustafa (apparently a popular name in the family) had opted for a more sedate life as a schoolteacher at the local madrasa. It hadn’t stopped snowing for almost a week now. The slow dance of snowflakes falling to the earth like pensive feathers was the ideal backdrop to my reverie. As I looked out of the frost-covered window of my little apartment in Cheyenne, Wyoming, the narrow, winding lanes of Tellicherry shimmering in the steamy heat seem out of another world altogether. Saturday afternoon is an ideal time to be lonely for those who have made the US their home, waiting for the country to welcome them grudgingly into its fold. I have been here for more than a year now. How fast time flies. Landing one spring morning at the tiny airport in Cheyenne, it didn’t seem that bad. What if I knew no one here, I could still spend my leisure time exploring the nearby countryside and making short trips to places where I had old friends from college. After all these years, I still haven’t figured out whether Uppa and Umma really wanted me to take up computer science and a job in the US. They were strangely silent, maybe too proud to coax me, wanting me to say it on my own. As the only male heir of an age-old business should I accept the trappings of my heritage and confine myself to my rightful place behind the counter at Colombo Stores or take up something respectable like computer science? When I finally decided in favour of the latter, Uppa and Umma were strangely quiet as if disappointed by my choice. Uppa even started murmuring about finding a buyer for the distribution business. Work at the electrical parts factory, where I was deputed by my employers to oversee the post-live phase of a global software implementation, was predictable and boring. Evenings after work were as uneventful as the days. Soon I settled into a routine that would have seemed monotonous to a nonagenarian. A bicycle ride to the gym or supermarket, reheated dinner in front of the TV and sleep after an occasional quick call home to Umma and my sisters. Now two years out of college, the realisation that the ordinariness of a job was no different than the predictability of life at Colombo Stores has painfully dawned on me. Samuel Job Chacko is a fellow Keralite who I had befriended in my first month after reaching here. Sam has been in the US since even before I was born. 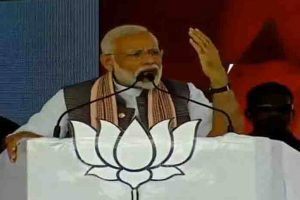 A veteran from the first generation of IT professionals, he has been living in Cheyenne for the last ten years or so, running his own growing outfit that had a back office in Chennai. Avinash “Winner” Menon is a guy both of us knew. He ran an auto workshop, Winner Auto Works and most of the Indians, besides others, were his customers. He was a junkie and tripper, divorced twice over and had of late been living in with a woman from California. Apparently, he’d come to the States for his masters in electrical engineering, gone bust in business, strayed into the guru circuit in California, from there to alternative reality groups and experimental drugs was only a step away.”It was a drug overdose coupled with alcohol and overwork apparently,” said Sam. “I’m heading for the hospital, wanna join?” “Sure”, I said enthusiastically, glad to have something to do at last and at the same time saddened by what had happened to Winner. The snow felt like blister packing under my soles, crackling angrily as I walked slowly down the three blocks that separated my apartment building from the leafy mansion that was Sam’s home. Sam’s house looked imposing. I had been there only once before, when he had invited me over for a get-together of local Indians. I’d felt so out of place among the cozy families that I refused subsequent invitations on some excuse or the other. He was waiting for me outside in his car, a majestic Escalade. “Jump right in, sorry to bother you, but you know, all the guys with families wriggled out giving some excuse or the other. The only other person I could think of was you.” Being the last choice on a trip to the hospital with the local Indian community leader made me feel strangely inferior. The drive to the hospital didn’t take more than five minutes and we drove in silence. Winner appeared in bad shape but stable. He mumbled incoherently and held onto Sam’s hand as he made arrangements with the hospital. We soon found out that his girlfriend had flown the coop with whatever she could lay her hands on in the little dump that Winner called home. So Sam decided it was better that he stayed in the hospital for about a week to get back to normal. I looked at Sam. I knew his definition of success and of failure. A life lived in black and white, a tangible milestone at every turn, living the American dream to its fullest. “Drop in sometime,” said Sam as he saw me off at the apartment, “You need to circulate a little. Find yourself a nice girl and settle down.” His weekend bashes provided the ideal setting to run into eligible fathers-in-law. “Join me when I go to discharge Winner from the hospital. We need to make sure he comes out of this without any more trouble.” The professional do-gooder in him couldn’t help jumping to the fore to take charge. It was hardly four, but the apartment was shrouded in darkness when I returned. I sank into the sofa, switched on the TV and lit a cigarette. Its smoldering tip lost in the flicker of the TV screen. I dragged on it, mindlessly staring at a Malayalam reality show. I picked up my phone and opened my email. Nothing new all weekend except depressing spam. Suddenly without realising what I was doing, I started to compose an email to my boss. It was over much faster than I thought it would take. Resignations were supposed to be about looking back with nostalgia and pride on your achievements. But I felt none of that, just an odd, overwhelming sense of relief. Then I looked up my contacts for the travel agency’s number. I could have booked online but I just felt this urge to announce my decision to someone even if it was just the assistant at the agency. 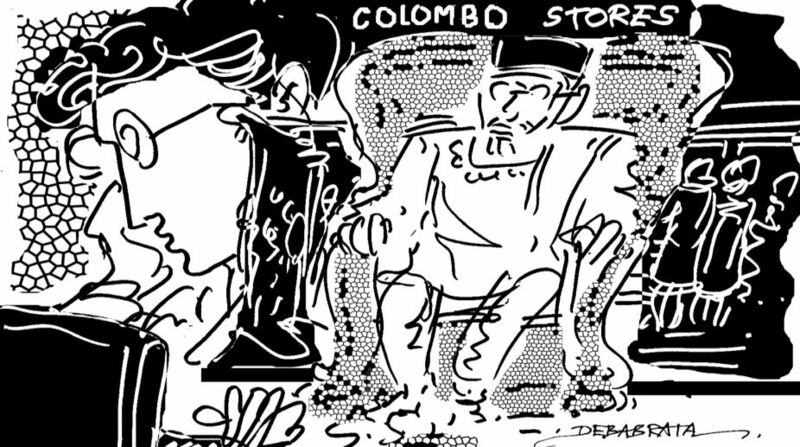 “Did you say to Colombo, Mr Koya? But you’re Indian?” asked the bemused girl. “That’s fine. I’m visiting folks there.” I said and then began dialling home. The polite Tamil next to me on the flight had a sing-song accent, “Your name, sir?” I hesitated a moment and couldn’t believe my ears when I heard myself say, “Good morning, I’m Syed Tariq Koya, from Tellicherry, a trader in pearls, silks and exotic foods. How do you do?”And then I pretended to have fallen asleep to avoid being dragged into further conversation as the aircraft made its way soundlessly over the azure oceans.